HomeMarket & TrendsCould Clean Meat be Available to Consumers By the End of 2018? Could Clean Meat be Available to Consumers By the End of 2018? Josh Tetrick, CEO of the innovative start-up JUST, believes that cultured laboratory meat could be on the market by the end of 2018. This prediction is plausible, as research and development in the area of “Clean Meat” is currently undergoing rapid progress and is even being supported by the state. 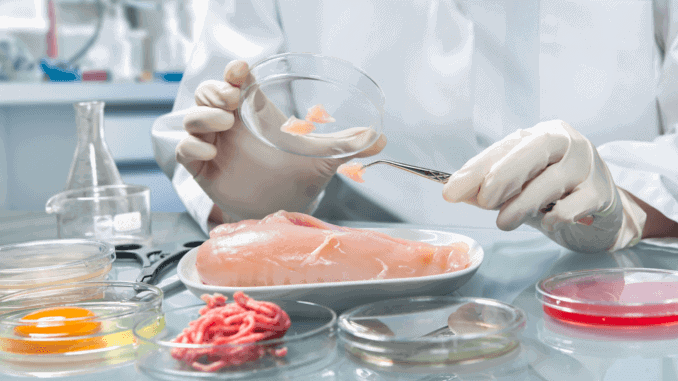 Other companies in this sector, such as Future Meat and Memphis Meat, are also extremely positive about the current development and are seeing growing interest in Clean Meat. A recent Memphis Meat survey showed that approximately two thirds of all consumers surveyed would welcome laboratory meat and be willing to try it once it is on the market. In general, the market for clean meats is expected to grow rapidly in the coming years and reach a total volume of approximately 20 million US dollars by 2027.